Hospital or Surgery Center Based General Anesthesia A patient is admitted to a hospital or surgery center where anesthesia is administered by an anesthesiologist. Indicated for patients undergoing extensive procedures such as face and jaw reconstruction surgery or severe infections. Also indicated for patients with medical conditions such as heart disease or lung disease who require general anesthesia. Dr Kiely is a Board Certified Oral & Maxillofacial Surgeon and Certified by the American Board of Dental Anesthesiology. When it comes to anesthesia, our first priority is the patient’s comfort and safety. 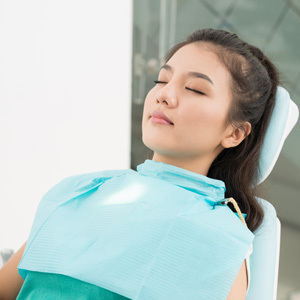 If you have any concerns regarding the type of anesthesia that will be administered during your procedure, please do not hesitate to discuss your concerns with Dr. Kiely at the time of your consultation or anytime thereafter. Our office offers our patients the option of Intravenous Sedation. This is the same anesthesia administered for colonoscopy or endoscopy procedures. Intravenous sedation or “IV sedation” is designed to better enable you to undergo your surgical procedures and enable you to tolerate as well as not remember those procedures that may involve some discomfort. IV sedation will essentially alleviate the anxiety associated with your treatment. A thin needle will be introduced into a vein in your arm or hand. The needle will be attached to an intravenous tube through which medication will be given to help you relax and feel comfortable. The goal of IV sedation is to use as little medication as possible to get the treatment completed. It is very safe, much safer than oral sedation. With IV sedation a constant “drip” is maintained via the intravenous tube. At any time a reversal agent can be administered to reverse the effects of the medications if necessary. Along with IV sedation there are also other different “levels” of sedation available to you in our office.